The ministry of prayer is very important at PLC. Each person plays an important role in the Body of Christ, and it is a privilege to care for one another, the church and the community through prayer. This page is updated frequently with general prayer needs for PLC. Together let us “Look to the Lord and His strength seeking His face always” (1 Chronicles 16:11). March/April 2019: Pick up your copy of The Unhurried Life by Jane Josephs on Sundays or during the week in the church office and join the church in study to intentionally draw closer to God during the Season of Lent. Are you currently in need of prayer? 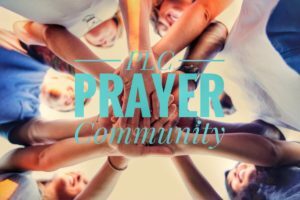 Contact PLC’s prayer chain, or fill out our confidential prayer request form. Looking to become more involved in prayer here at PLC? Contact Pastor Greg Hoffmann.